Bill Bolton Arena has been a part of the Seaton Village community for nearly 50 years. Built in 1971the $500 000 indoor arena was named for William (Bill) H. Bolton, a local police inspector. Bill Bolton grew up at Bloor and Bathurst and was invested in helping the youth of the Seaton Village neighbourhood of Downtown Toronto. In 1947, he founded St. Alban's Boys Club in the basement of the Howland Avenue Anglican Church. In 1961, St. Alban's Boys Club got its own building on the North-West corner of Vermont Square Park. In honour of Bill Bolton's contribution to kids in the neighbourhood, Alderman Joseph J. Piccininni (who now has a nearby community centre named for him) spearheaded naming St. Albans new neighbour after him. The new Vermont Square Park was unveiled as William H. Bolton Arena in a surprise reveal for Bill Bolton and his wife Isobel on March 8th, 1972. 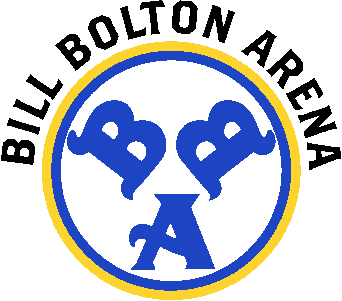 In the seventies and eighties, Bill Bolton Arena (BBA) hosted a variety of community groups. Jim Oreto, the manager for most of BBA's history, hosted free community skates, local school teams, and nearby halfway houses. Even in the summers, the rink would host ball hockey leagues, concerts and even a famous, provocative play! In 1988, BBA house league was a group of 30 kids learning to play on Saturday mornings. Under the supervision of former St. Albans programmer, Dave Pim, the hockey league began to expand. By the early nineties, the house league had over 200 kids, the rink had added adult leagues as well. Over the past 25 years the arena has added a Learn-to-Skate program, hockey camps, adult hockey classes, summer adult leagues, spring youth house league, girls house league, girls hockey skills, Learn-to-Play hockey program, more youth house leagues and another four adult leagues. Today, the arena runs over 20 programs with over 2000 participants every year. It is the only arena in the city that operates all of its own programming in-house as well as its Snack Bar and Pro Shop. Currently managed by longtime foreman, Mario Carpino, the arena has continued to expand programming and is one of the busiest rinks in the city. Not bad for an undersized arena, tucked away in a park with no parking lot!